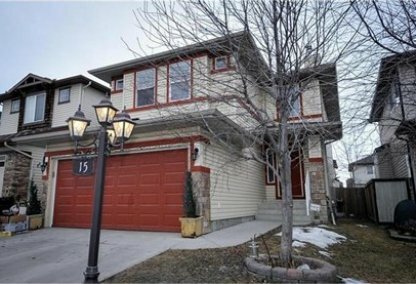 Search Chaparral homes for sale & just listed real estate in Calgary. Chaparral, a residential community in south zone of Calgary, Alberta, Canada, draws much of its allure from the neighborhood’s refreshing location at the Bow River Valley which borders its eastern periphery. For information about the newest listings in Chaparral for sale or to schedule a private home showing, contact your Chaparral Calgary real estate experts today. Chaparral housing market statistics: As of April 24, 2019 there are currently 84 properties for sale in Chaparral listed as active, with an average asking price of $483,102. The highest-priced property is $999,900; the lowest priced property can be purchased for $189,900. Chaparral neighbourhood listings have an average price of $267 per square foot, based on listings with 3.3 bedrooms, 3.2 baths, and 1,827 square feet of living space. 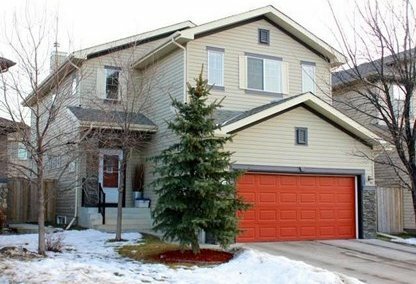 Thinking of selling or buying a home in Chaparral Calgary? Call Justin Havre at RE/MAX First - 403.217.0003. Our community of Chaparral real estate agents will help you navigate the Chaparral housing market in Calgary. The community of Chaparral has an interesting meaning behind its name. Chaparral refers to an ecosystem common in foothills with hot dry summers and cool moist winters, a biome favorable for spiny and lush evergreen shrubs to dominate in. An eponymous, 32-acre man-made lake and a 21-acre park with a pair of waterfalls are two invigorating landmarks in Chaparral. Several arterial thoroughfares link this neighborhood with the various life and leisure centers of Calgary along with the amenities just around the Chaparral community. One is Macleod Trail which runs along the neighborhood’s western boundary. The Marquis de Lorne Trail north of the community and 194 Avenue to its south are additional transit routes for the Chaparral residents. Established in 1995, this community has 8,134 residents on record as per a 2006 census. It primarily consists of single-family homes, but an ample selection of Chaparral condos are also available in the Calgary real estate market. The quoted prices of the homes for sale in the neighborhood typically range from the $300s up to the million-dollar level. The Chaparral neighbourhood’s homeowners association runs a recreation center with a full-time director. It also manages and operates facilities for fishing, boating, diving, and skating. Residents can avail of these amenities for a certain amount of fee paid to the community association. A public elementary school, Chaparral Elementary School, serves this neighborhood. A Catholic elementary school, Saint Sebastian Elementary School, is likewise in Chaparral’s locality. Thinking of buying or selling a home in Chaparral? Let our local real estate agents help guide you through the purchase of your next home, or to expertly negotiate the sale of your current home. As local Chaparral real estate agents, we're experts on the market dynamics unique to the Chaparral real estate market. We'll get to work for you today! Contact Justin Havre at RE/MAX First - 403.217.0003 to learn more about buyer or seller representation. Planning to sell your Chaparral home? 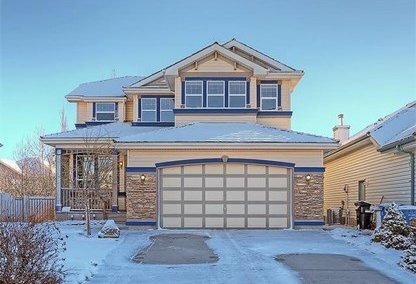 Check out our free home evaluation, where you can instantly price your Calgary home price your Chaparral home online, in minutes!